Superdry men's Classic Pique polo shirt. A classic polo shirt featuring a twin button fastening, reinforced split side seams and an embroidered Superdry logo on the chest. 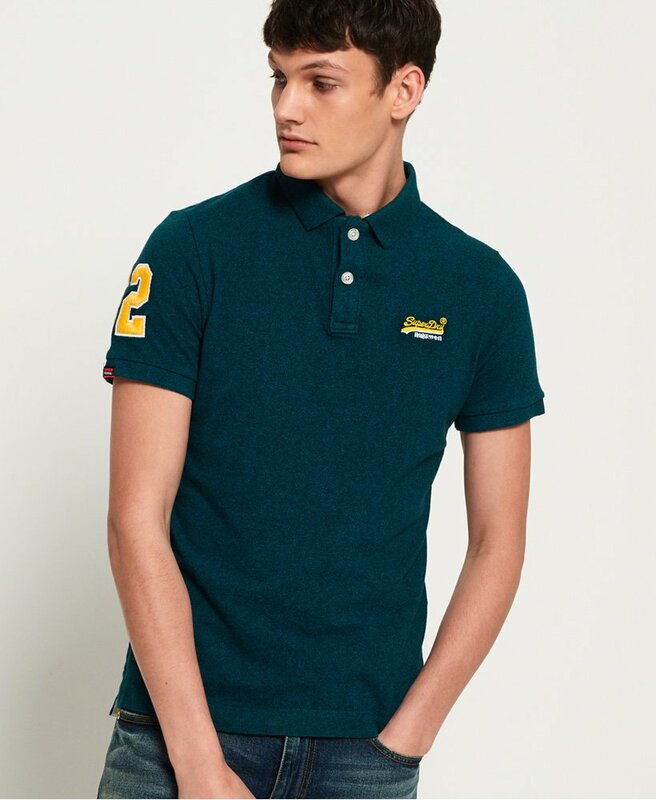 The polo also features an appliqué number on the sleeve and is completed with Superdry logo tabs on the hem and sleeve.